John Cyrier in The Guidon! 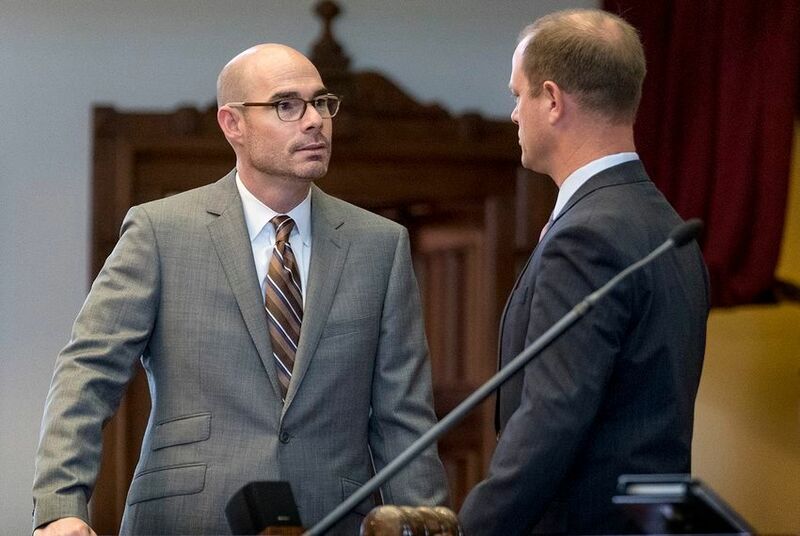 On January 23, 2019, Rep. John Cyrier was named Chair of the House Committee on Culture, Recreation, and Tourism for the 86th Texas Legislature by Speaker Dennis Bonnen. The committee is responsible for legislation involving hunting and fishing, wildlife, state parks, historical sites, tourism, and the Texas music industry. In addition, several state agencies fall under the committee’s purview, including the Parks and Wildlife Department, Commission on the Arts, State Historical Commission, State Preservation Board, and State Library and Archives Commission. “I am honored that Speaker Bonnen has entrusted me with this committee’s chairmanship. This committee deals directly with industries and activities that combine for billions of dollars in economic impact annually to the State of Texas and more than one million jobs. I take very seriously the charge to responsibly manage our state’s rich cultural resources so they remain a treasured source of enjoyment and vital engine for job creation,” said Rep. Cyrier. “From music and the arts to parks and outdoors, the issues touched by this committee matter deeply to my district and the entire Central Texas region,” added Rep. Cyrier, who is the only Central Texas member of the House to chair a standing committee in the 86th Legislature. First elected in 2015, he is also the shortest tenured member of the House appointed to chair a committee. Cyrier also received appointment to the House Committee on Juvenile Justice and Family Issues, chaired by Rep. Harold Dutton (D-Houston), which is charged with the rehabilitation, correctional, and legal needs facing Texas youth. The 86th Texas Legislature opened on January 8, 2019. The regular session lasts for 140 days and adjourns on May 27, but standing committees continue their work until the next legislature convenes in January 2021. Rep. Cyrier represents Texas House District 17, which includes Bastrop, Caldwell, Gonzales, Karnes, and Lee counties. Pd Pol Ad by the John Cyrier Campaign, 1301 Westwood Road, Lockhart, TX 78644. Donations are not tax deductible.